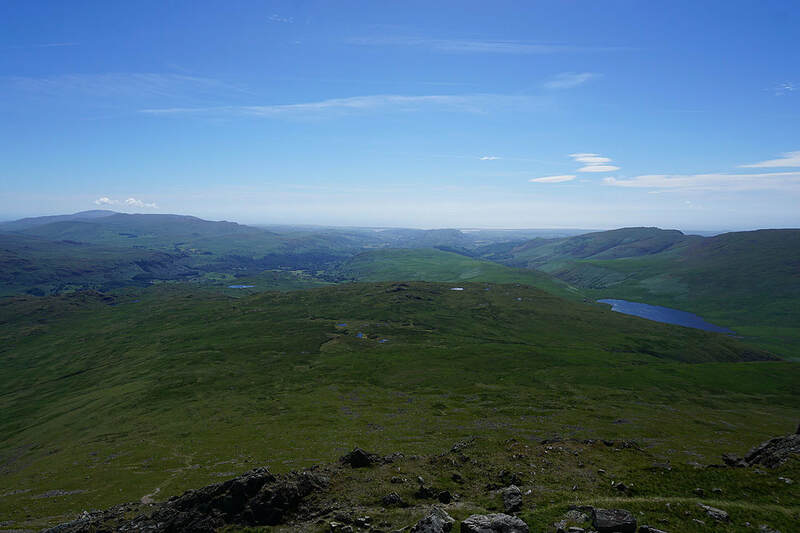 Just a week ago I wouldn't have expected to find myself taking a break in the Lakes. 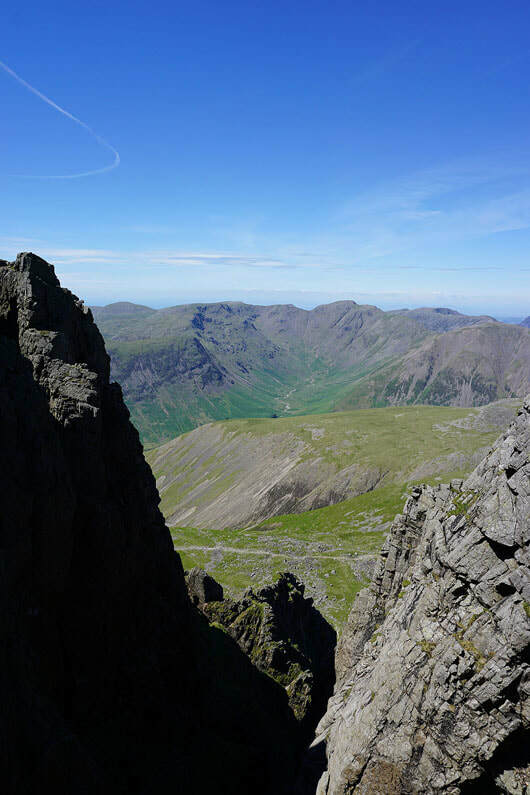 I had booked the Friday and Monday off work at the beginning of June but with no plans of going anywhere. 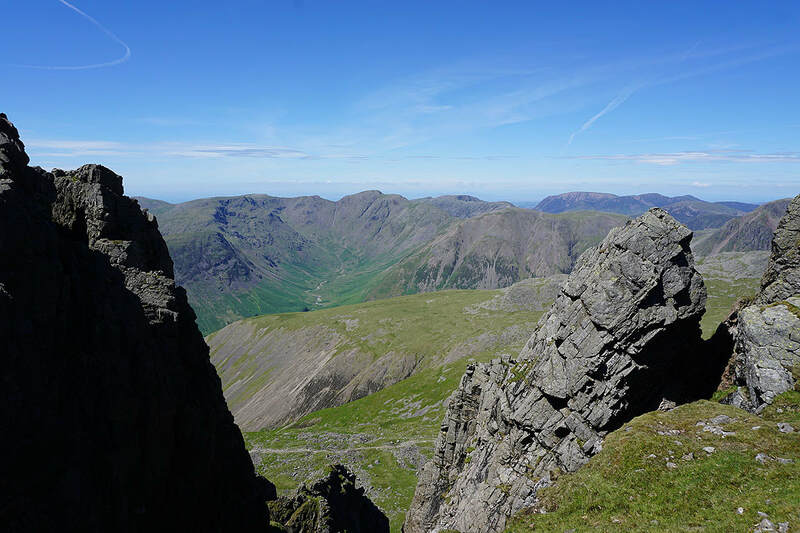 However, when I saw that the great summer weather that we've been having was set to continue through the long weekend I couldn't resist. 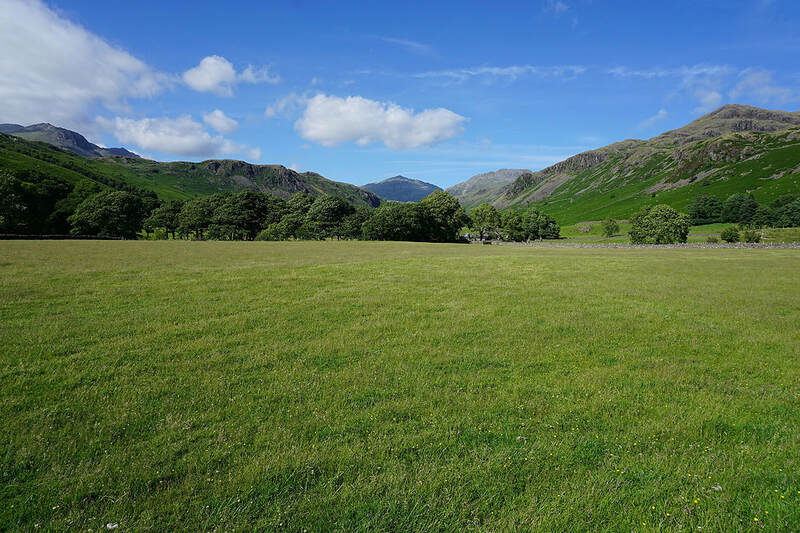 I didn't take me long to decide to stay somewhere in the Eskdale/Wasdale region and I ended up in Nether Wasdale and The Strands Inn. 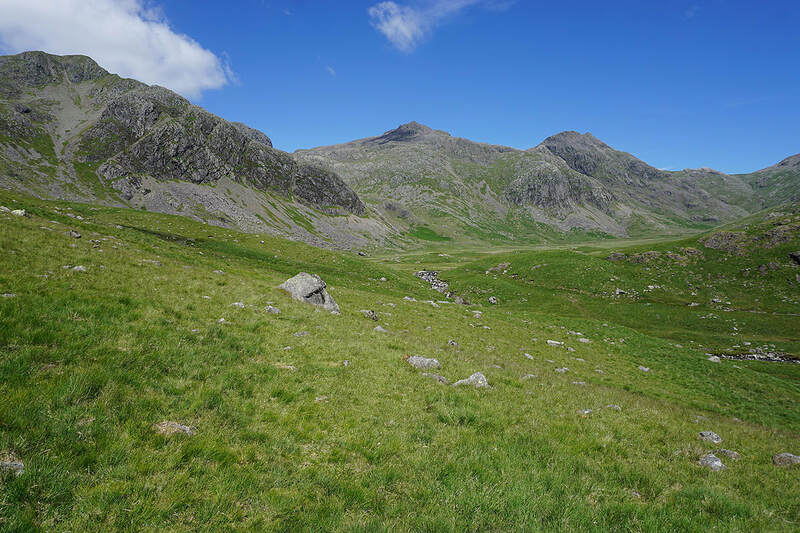 This was a great place to stay with Wasdale just a stone's throw away and the village of Gosforth nearby for picking up my daily supplies. 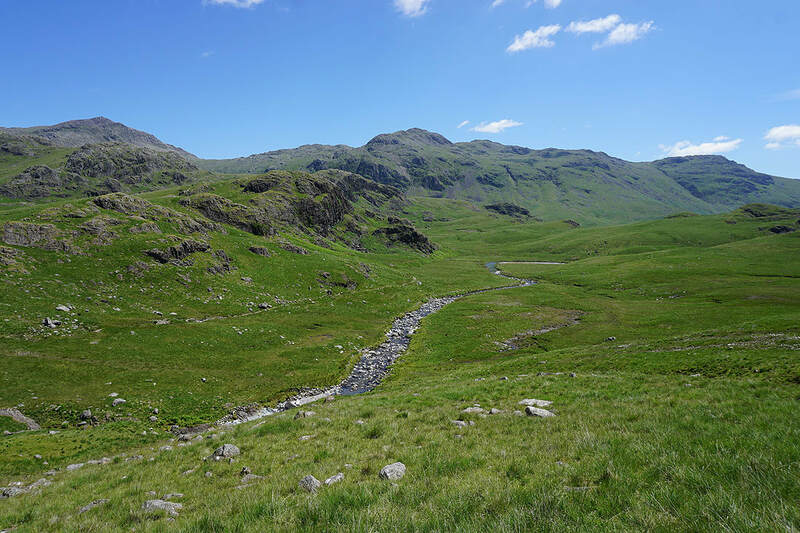 I didn't ease myself in gently with this first walk after driving up from home this morning, Scafell and Slight Side from Eskdale, a route I have done before, way back in 2009. 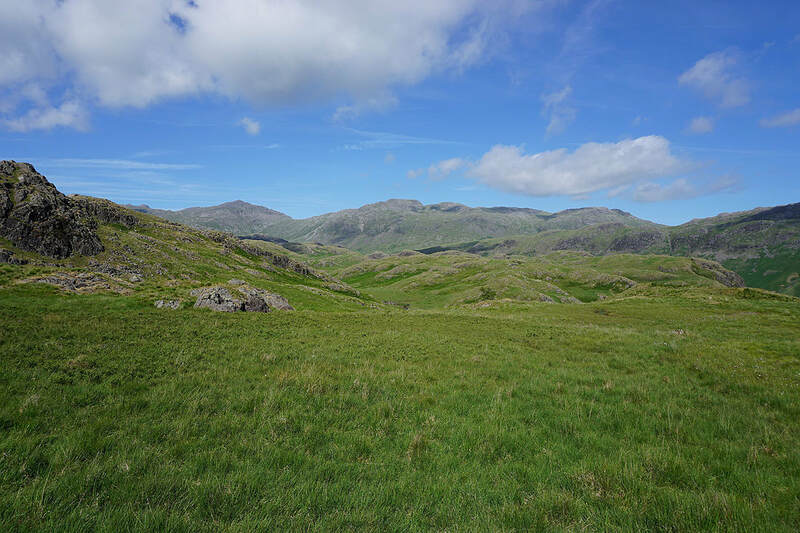 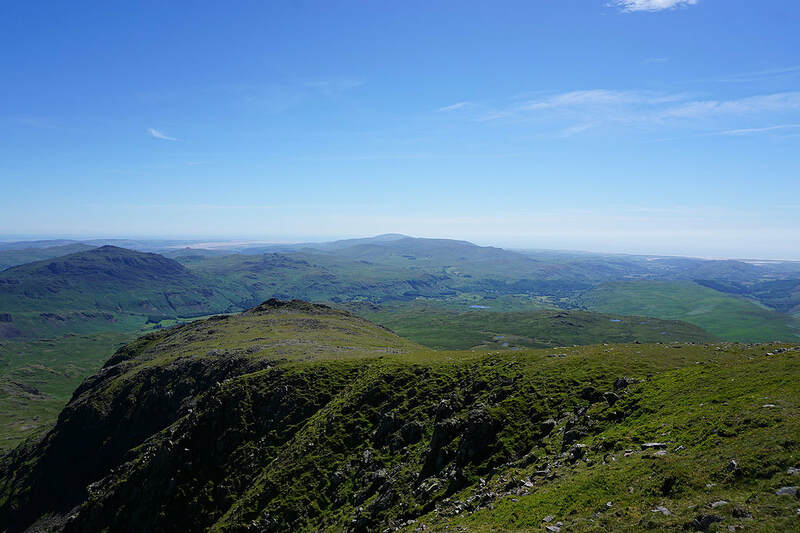 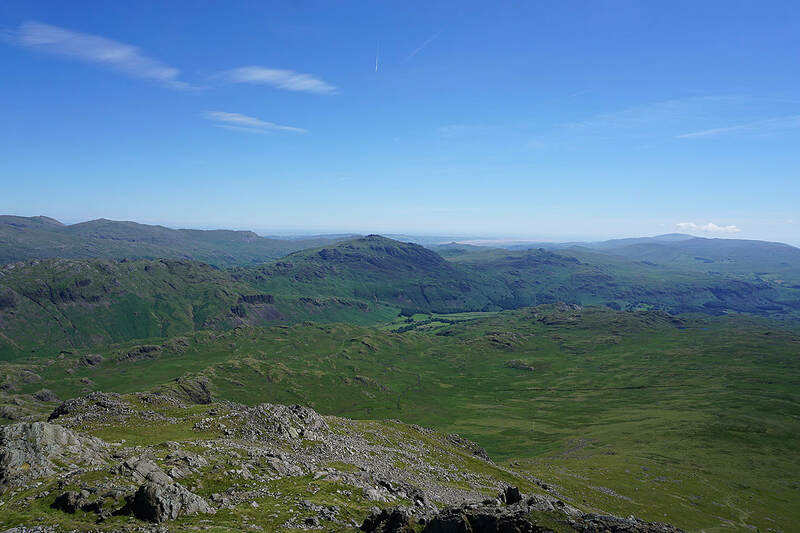 Hot sunshine was already beating down as I arrived in Eskdale and it was a glorious day for taking in the scenery of Upper Eskdale and the views from the top of Scafell. 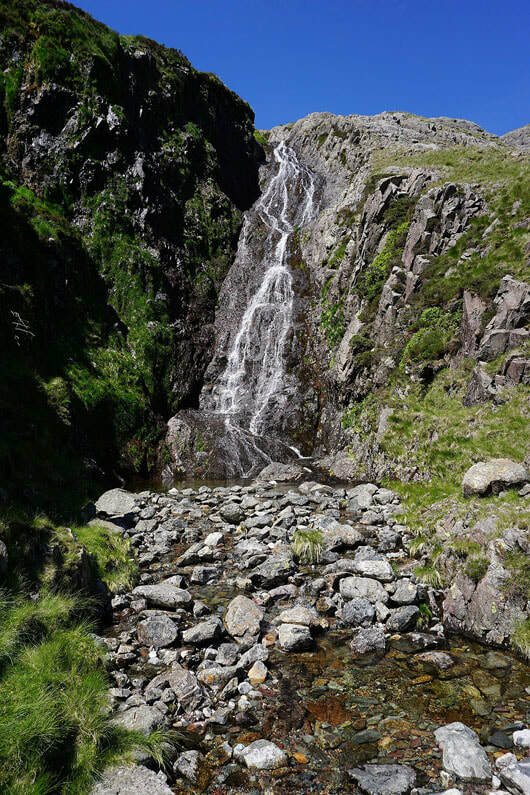 Fortunately there was a strong breeze high up that was most refreshing. 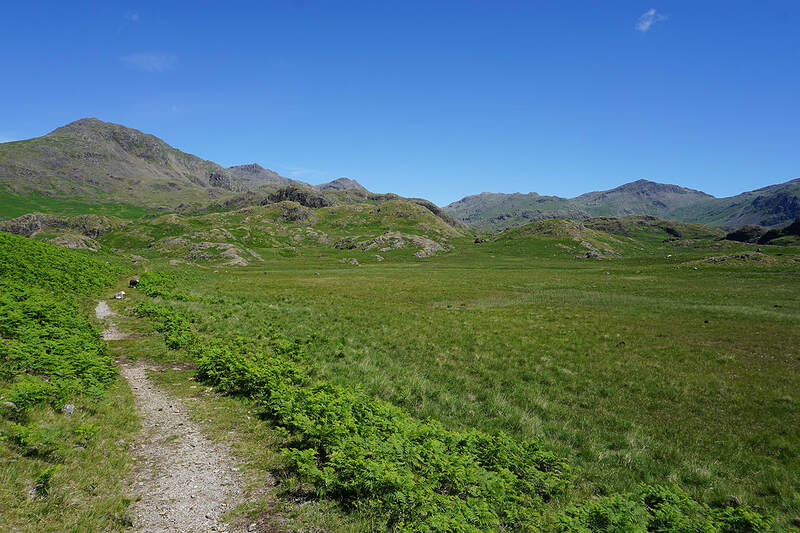 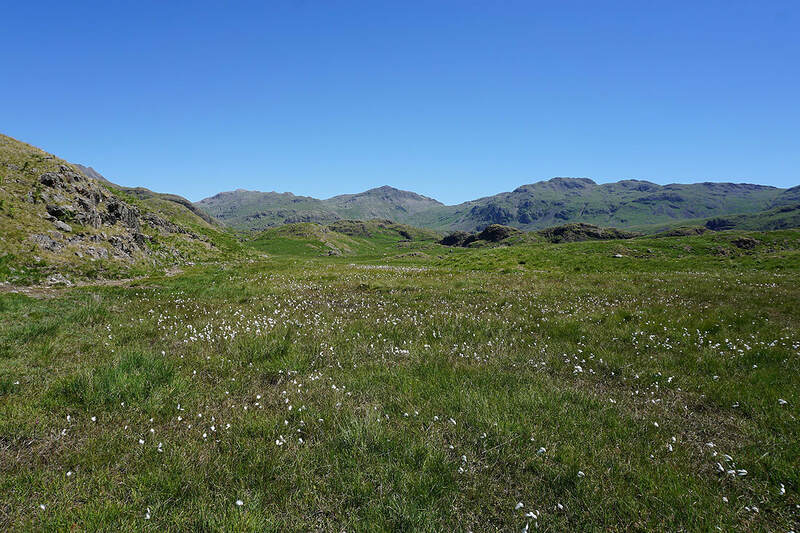 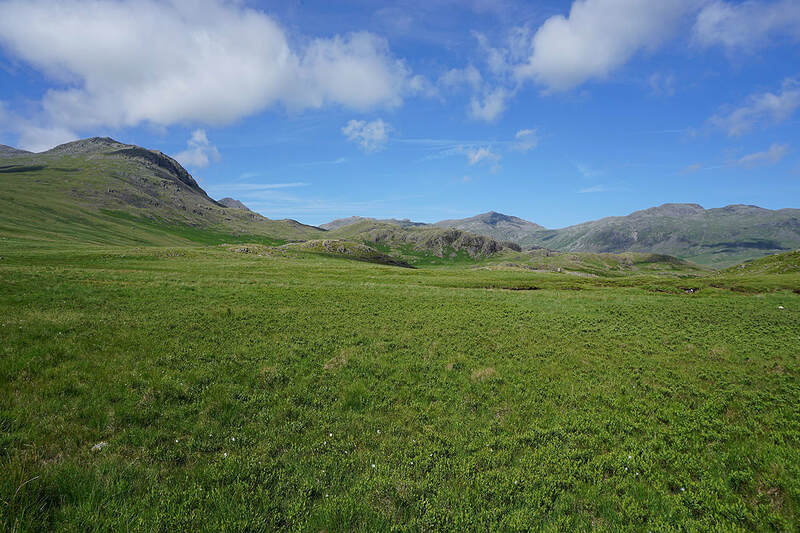 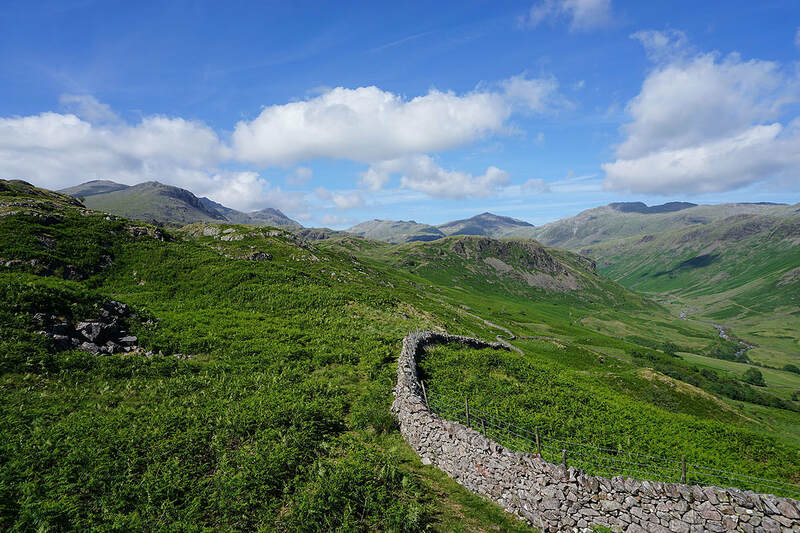 ​From the car park at Jubilee Bridge at the bottom of the Hardknott Pass (the small car park opposite Wha House Farm was already full) I walked west along the road to Wha House Bridge where I took the footpath on the right up to Birdhow. 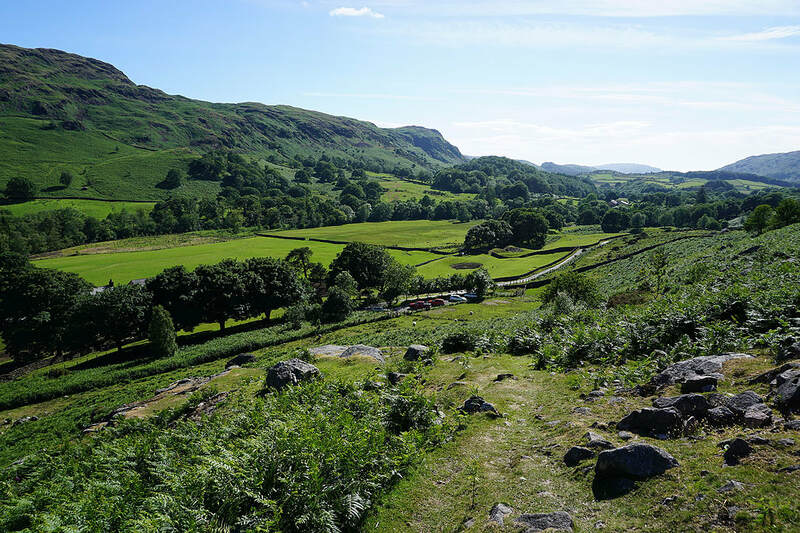 I then followed the track to Taw House Farm and on up the valley to Scale Bridge, where I took the path on the left that zigzags uphill by Scale Gill. 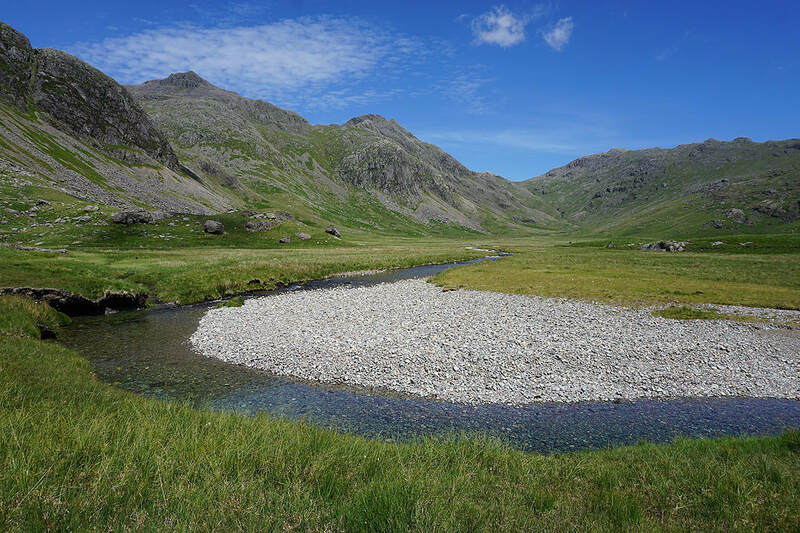 I then followed the path north through low crags to arrive by the River Esk in Great Moss. 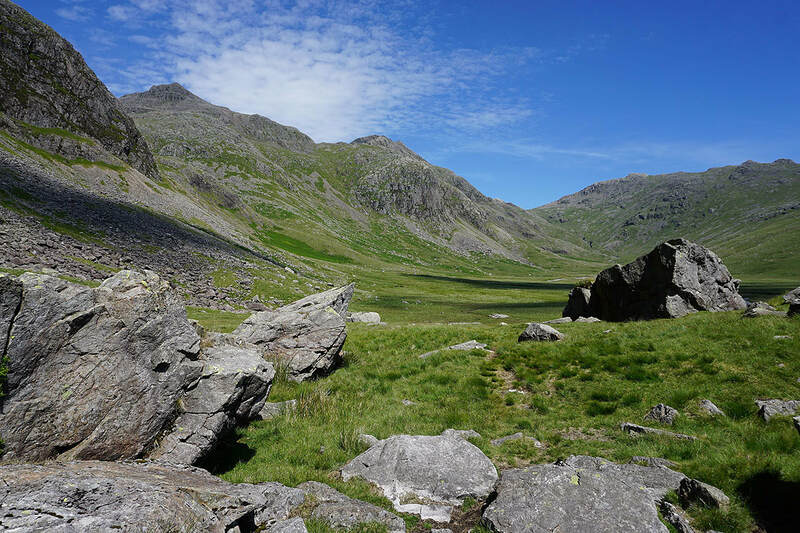 The path then makes its way through the boulders of Sampson's Stones and beneath Cam Spout Crag to arrive at the foot of Cam Spout. 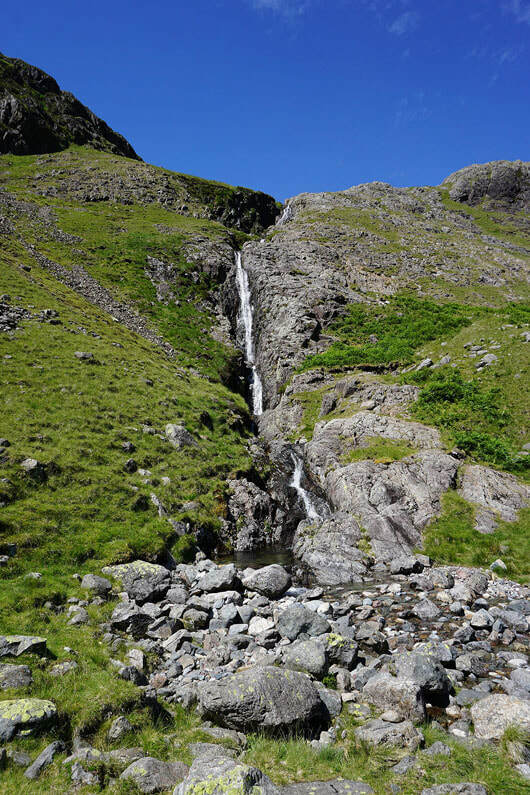 Now the hard work begins, starting with climbing uphill to the right of Cam Spout. 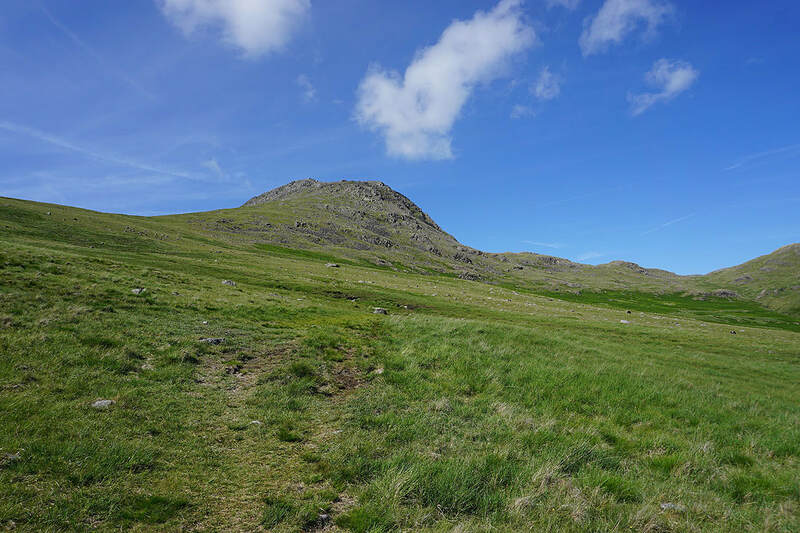 As the gradient eased and the path crossed How Beck I left it to head uphill into Greencove Wyke (for some reason I thought this was the way up to Foxes Tarn, even though I've visited it before). 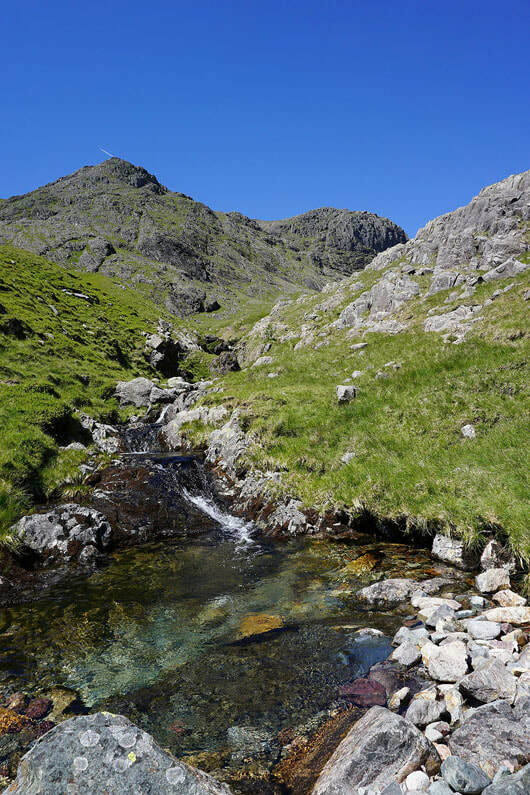 It was steep but no more so than going via Foxes Tarn and there was no scree to contend with, though it doesn't put you on the summit of Scafell as going via Foxes Tarn does. 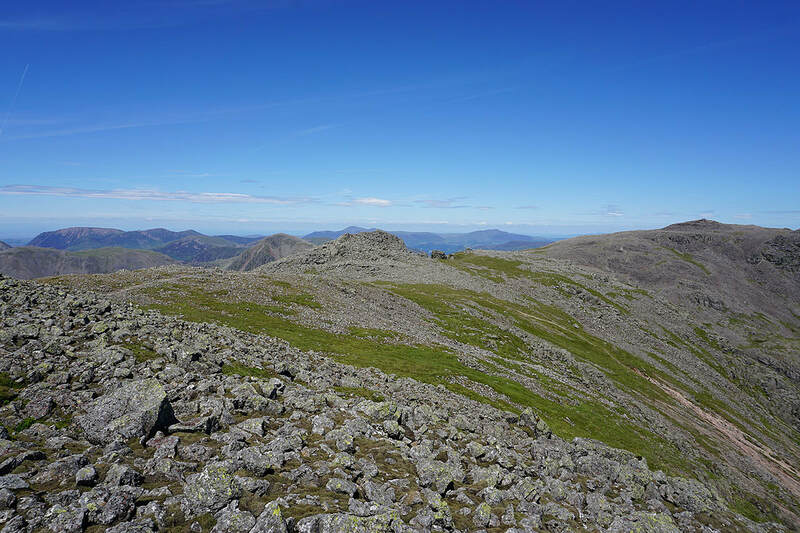 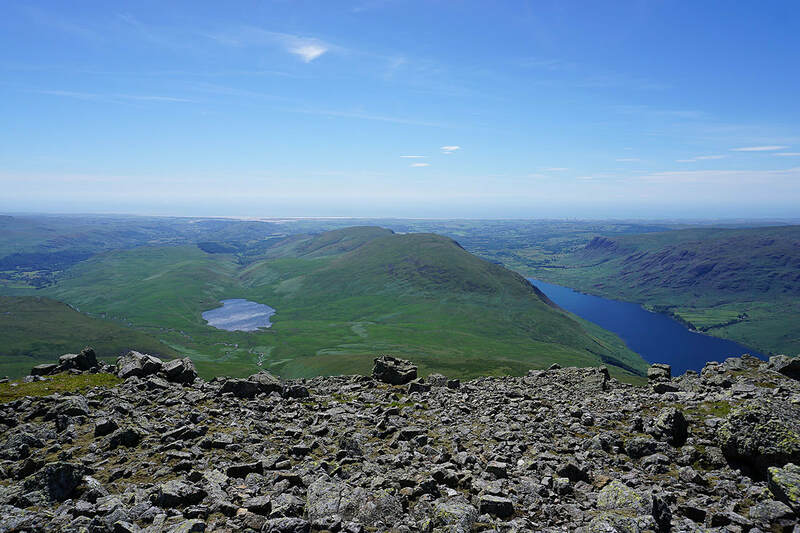 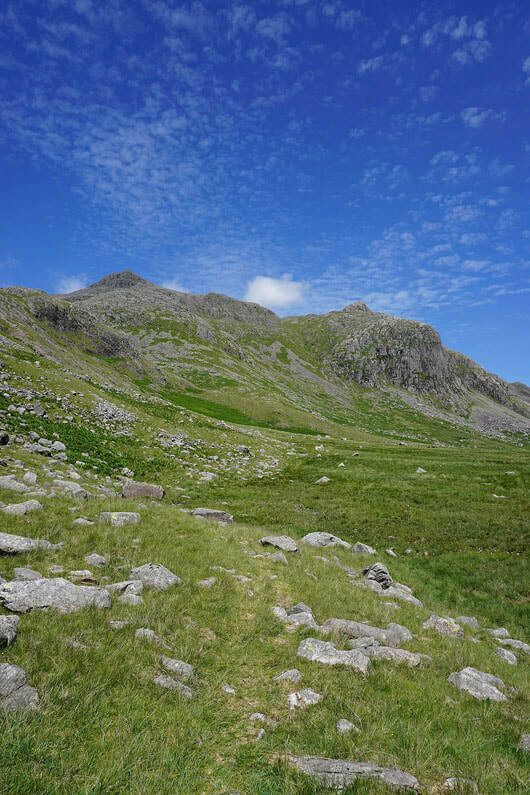 Once out of Greencove Wyke I made my way north to the summit of Scafell. 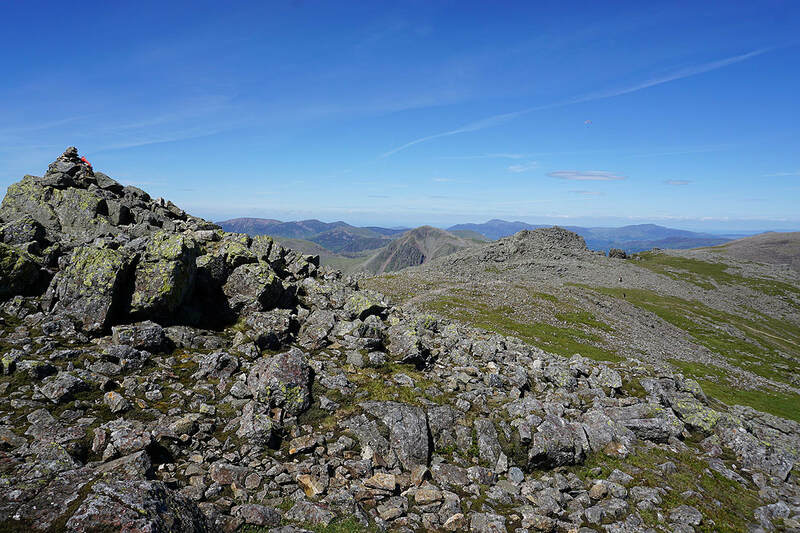 After visiting Symonds Knott and the top of Deep Gill I returned to the summit cairn before following the ridge south to Long Green and then Slight Side. 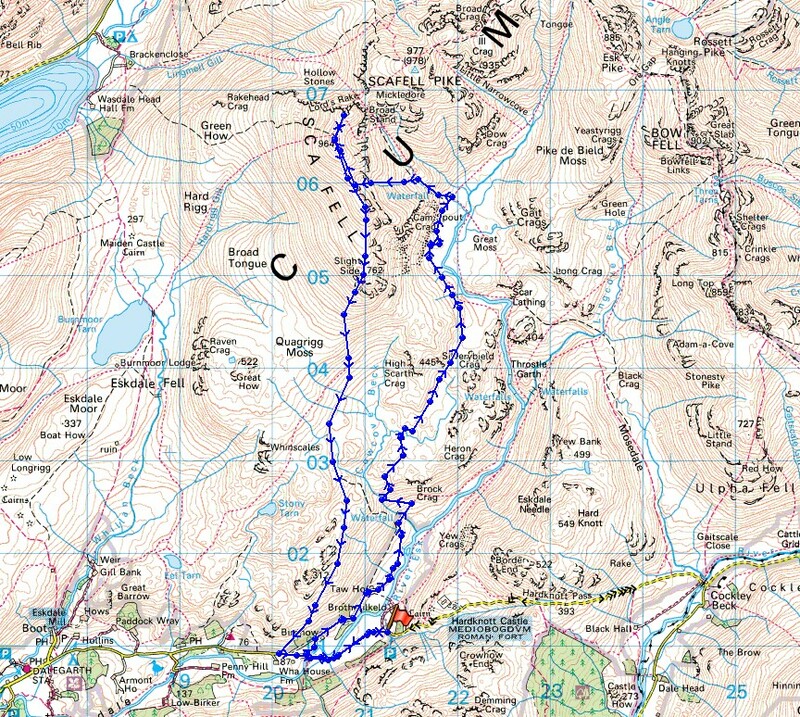 From Slight Side I continued south downhill and across Catcove Beck, from here the path was difficult to follow at times with the bracken up, but I eventually ended up at the car park opposite Wha House Farm. 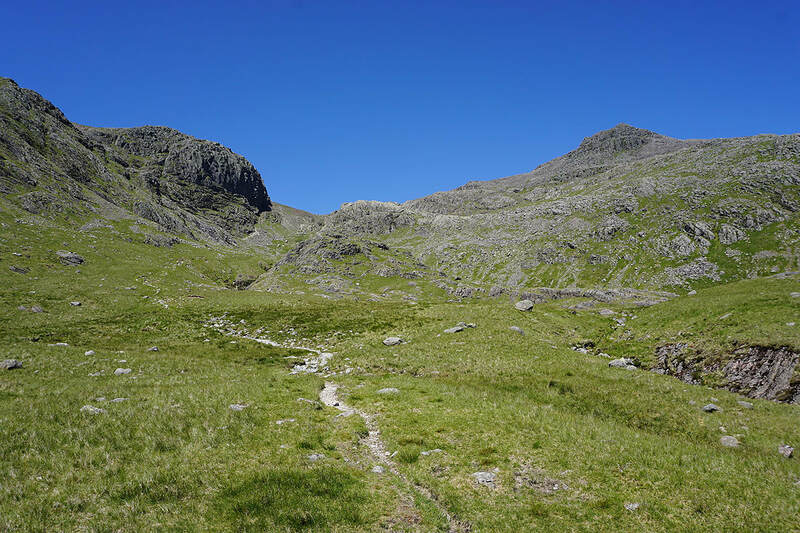 I was then left with walking along the road back to Jubilee Bridge. 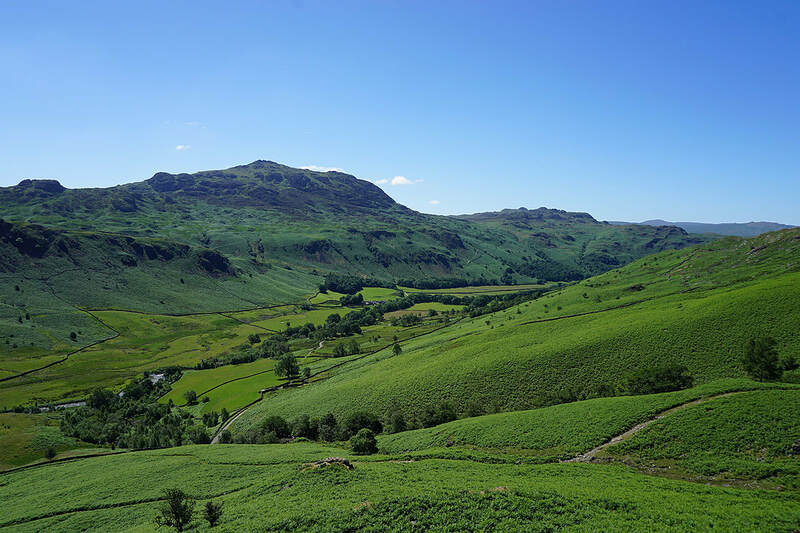 Driving on the Birker Fell road to Eskdale and I had to pull over and take a picture. 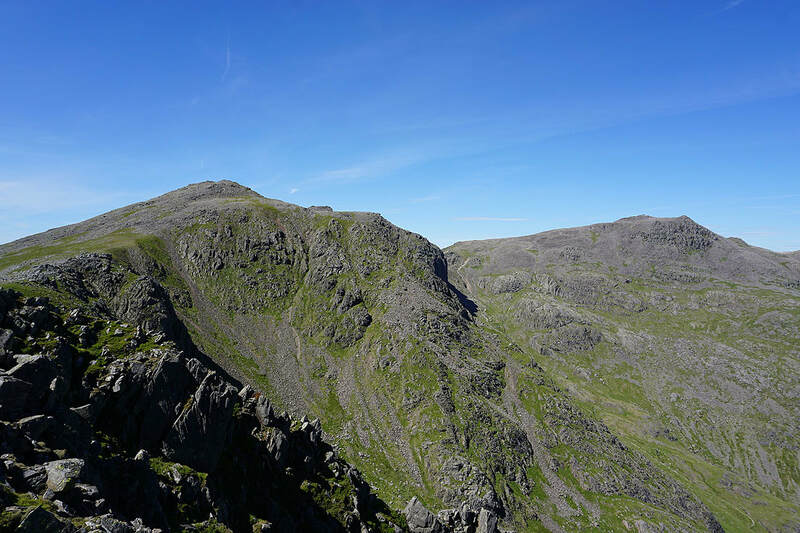 In the middle is Scafell, which I'll be on the summit of in a few hours time. 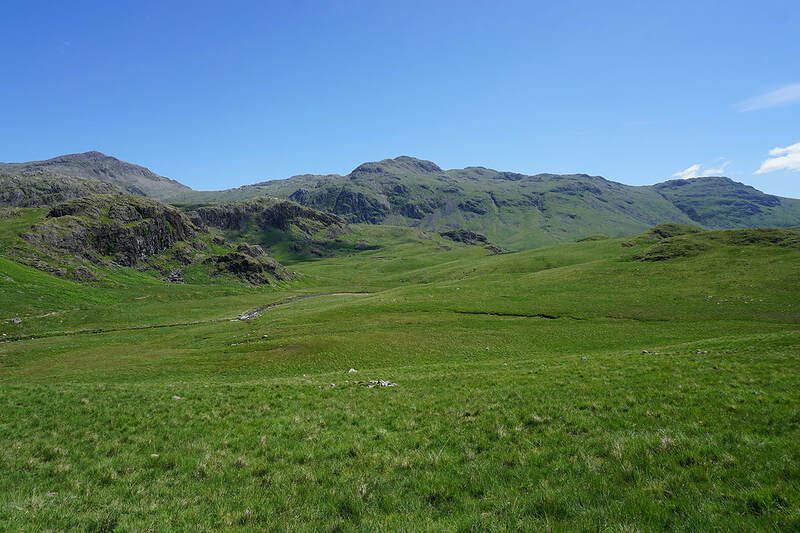 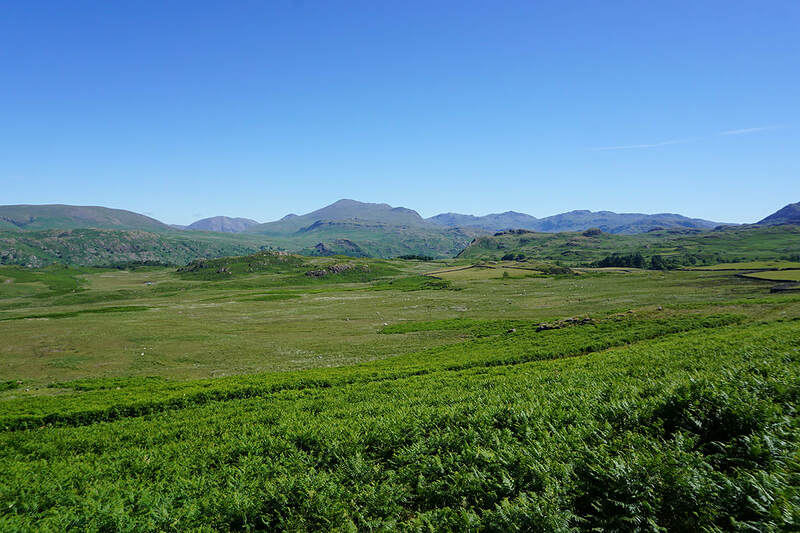 The view of the fells around the head of Eskdale improves as the path approaches Great Moss.. 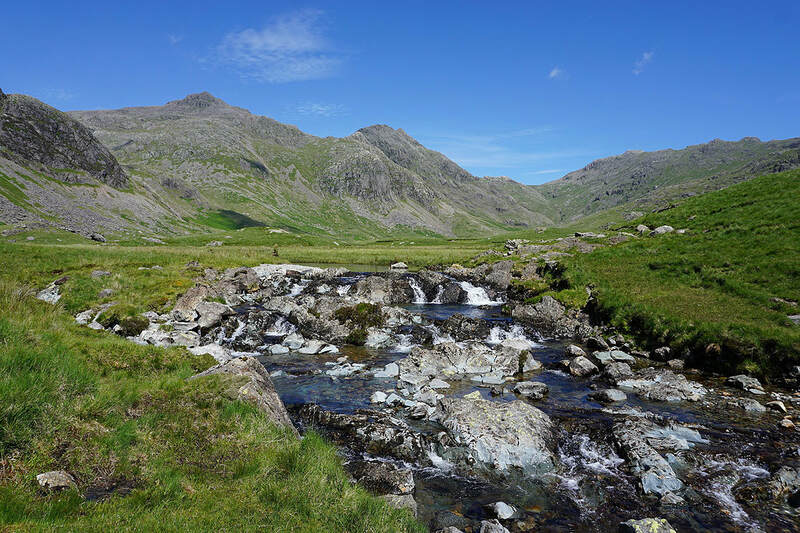 I decided to get down to the banks of the Esk in Great Moss to take in the fantastic view to Scafell Pike, Ill Crag and Esk Hause..
Making my way through Sampson's Stones..
Scafell Pike and Pen above Esk Buttress as I reach Cam Spout.. 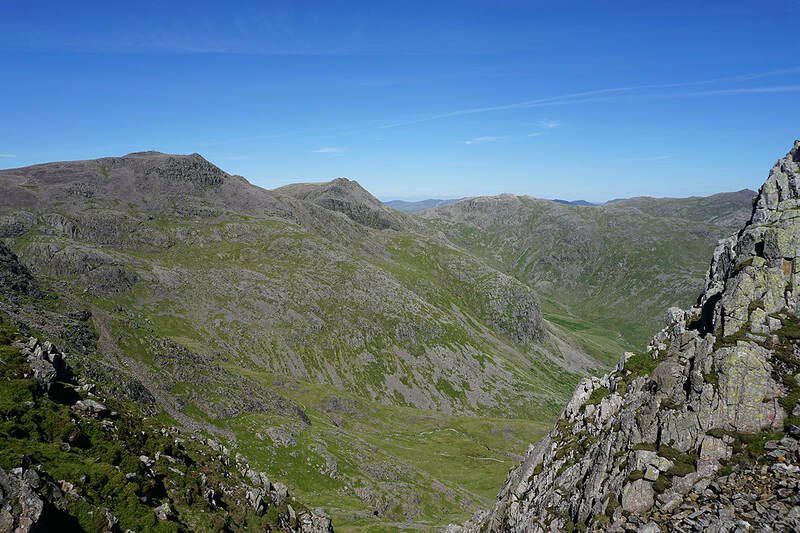 Pillar, and the other fells of the Mosedale Horseshoe from the top of Deep Gill.. 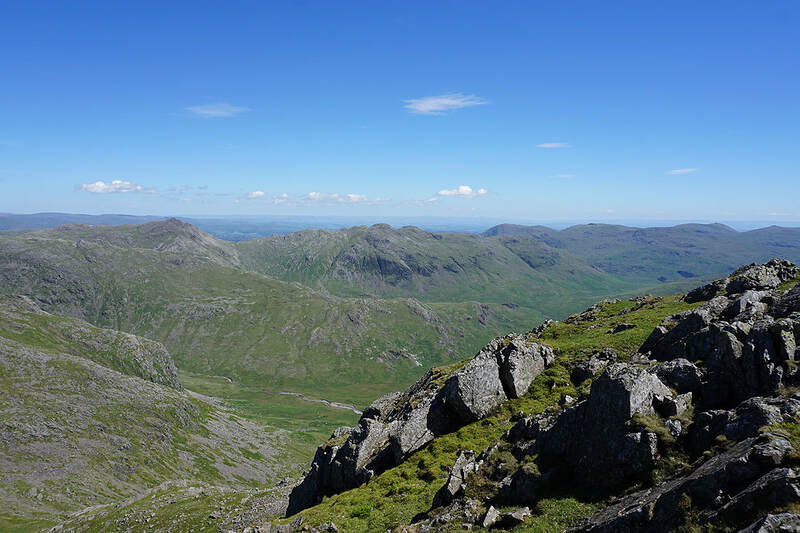 The view from the summit of Scafell. 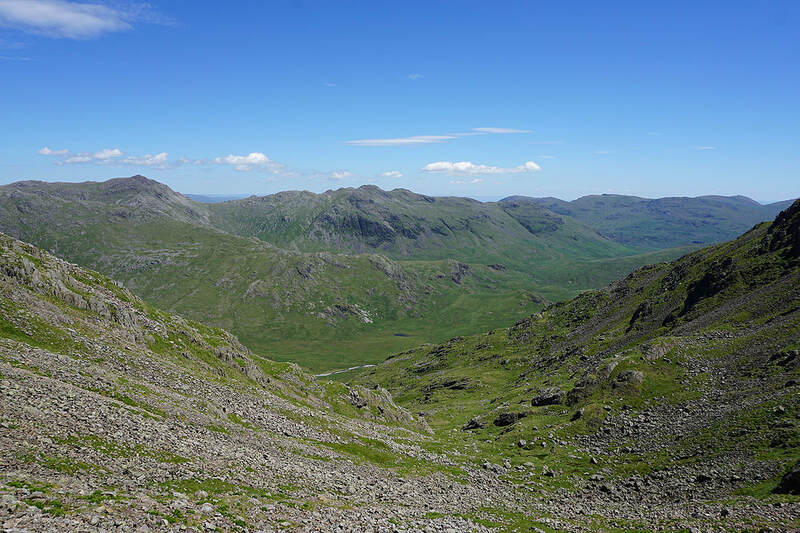 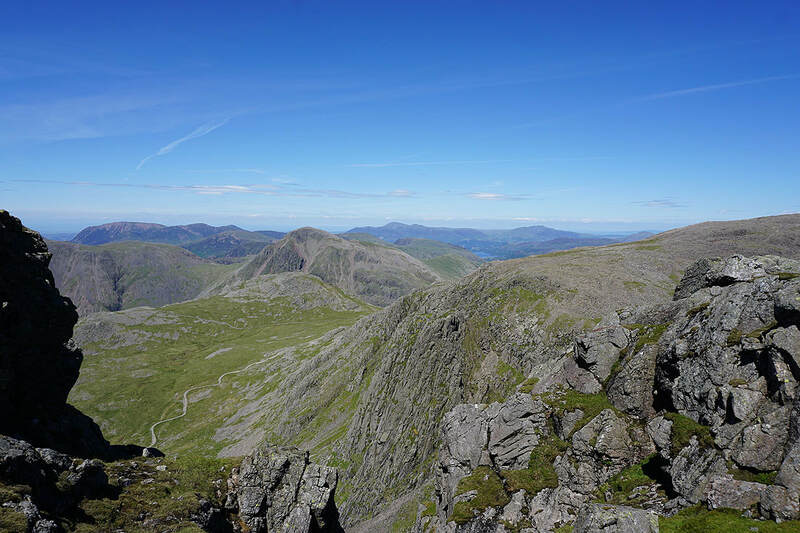 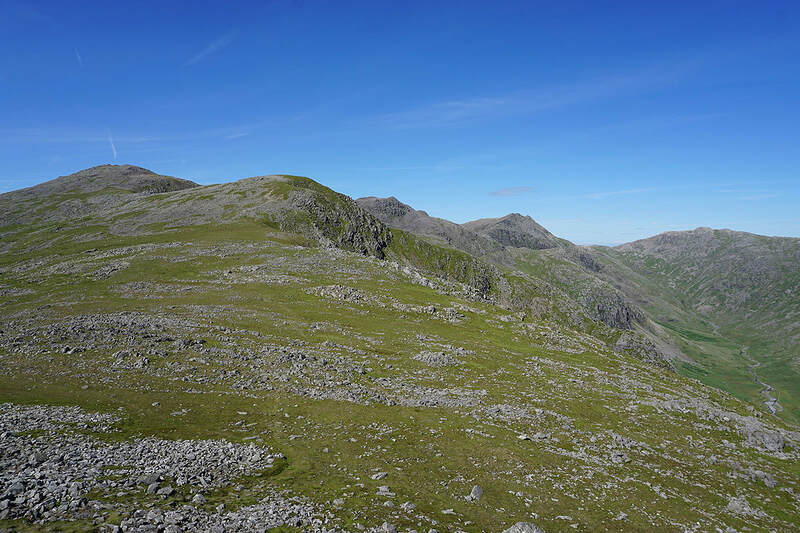 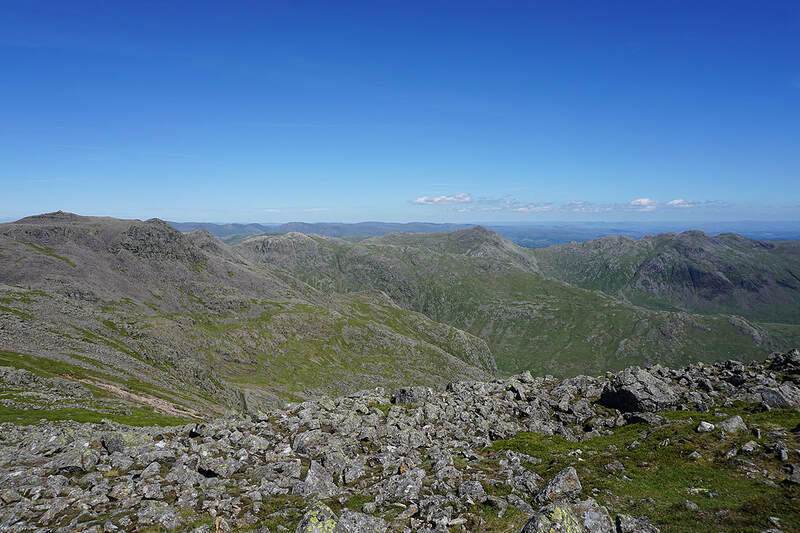 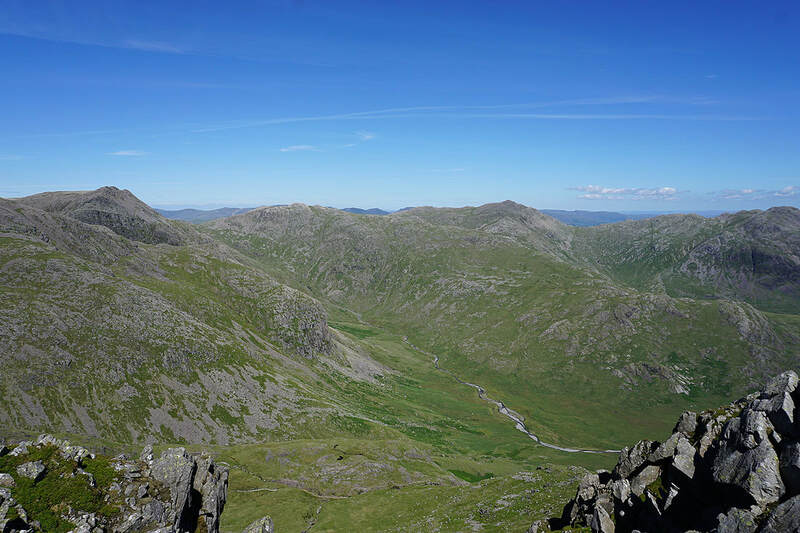 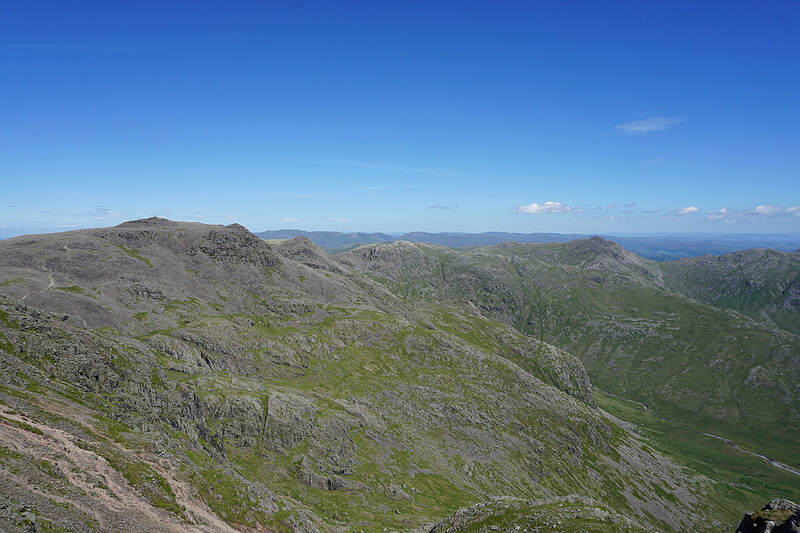 Scafell Pike, Esk Pike, Bowfell and Crinkle Crags with Fairfield and High Street in the distance behind Esk Pike. 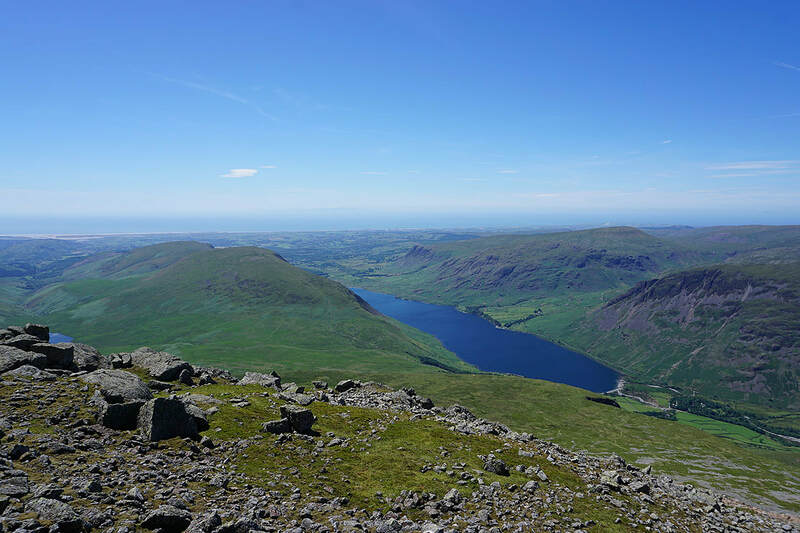 Whin Rigg, Illgill Head, Wast Water and Seatallan. 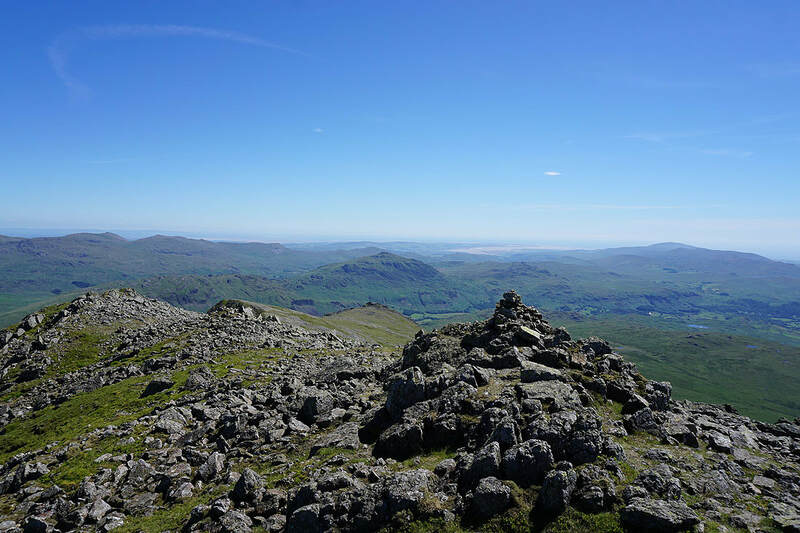 I could make out the Isle of Man on the horizon. 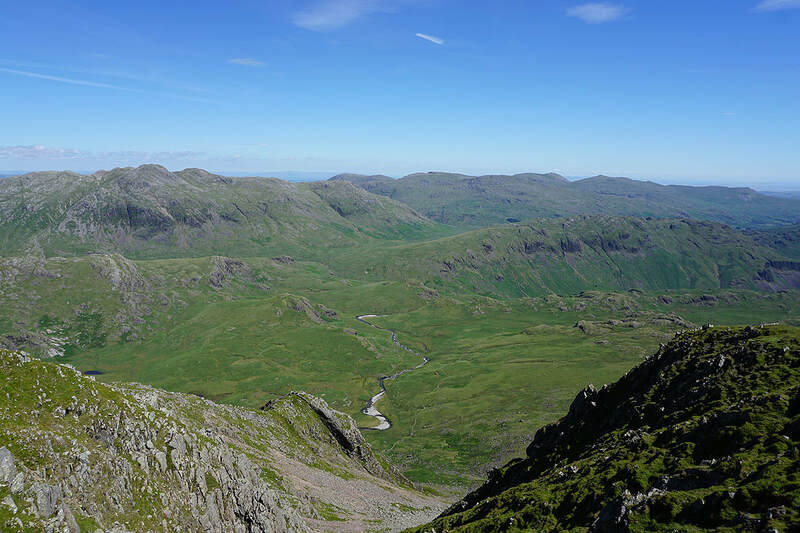 Looking across the top of Eskdale to Scafell Pike, Ill Crag, Esk Pike and Bowfell as I make my way south to Long Green..
On the rocky summit of Slight Side. 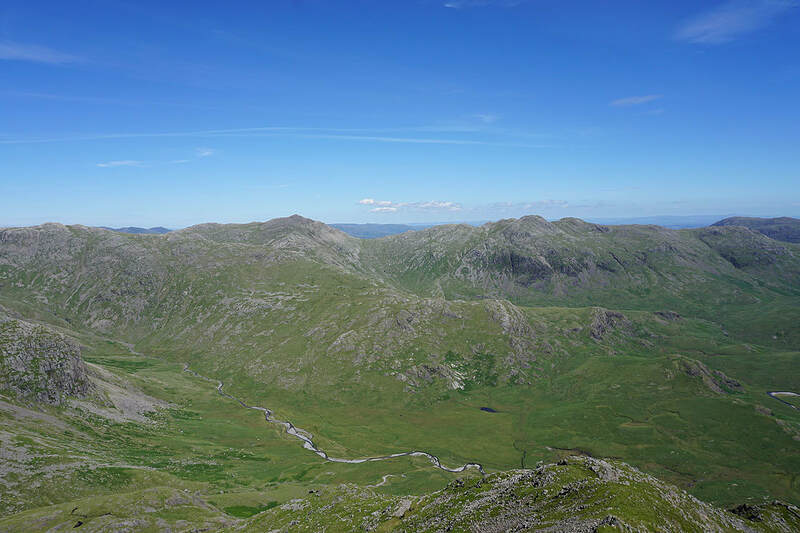 Looking to the southwest across Great How and down Eskdale to the coast. 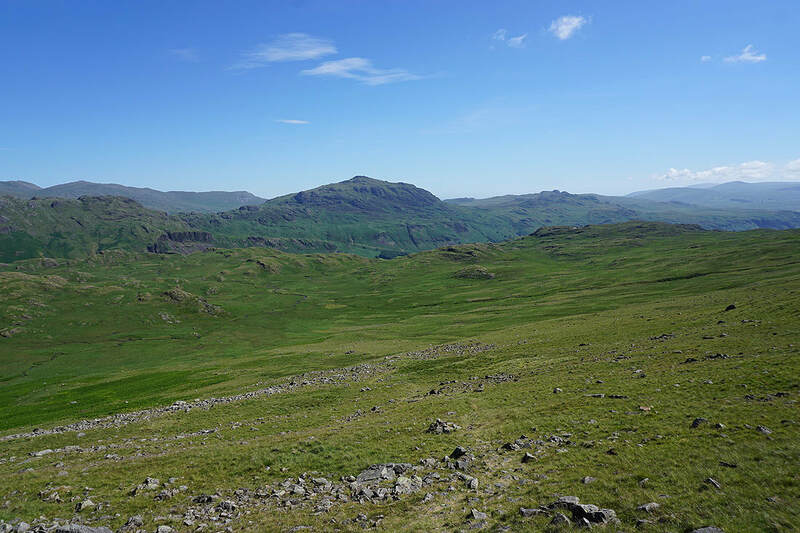 Lower down and the fells around the head of Eskdale come into view.. 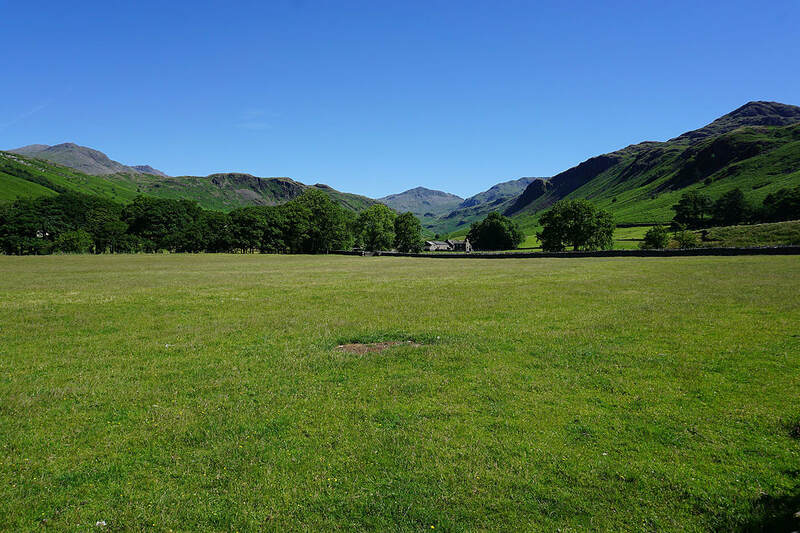 The car park opposite Wha House Farm is below. 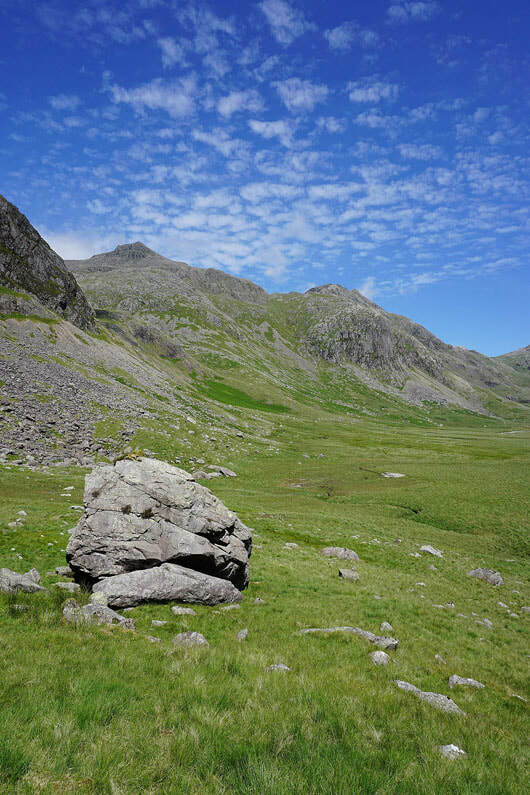 Unfortunately I'm not parked in it. 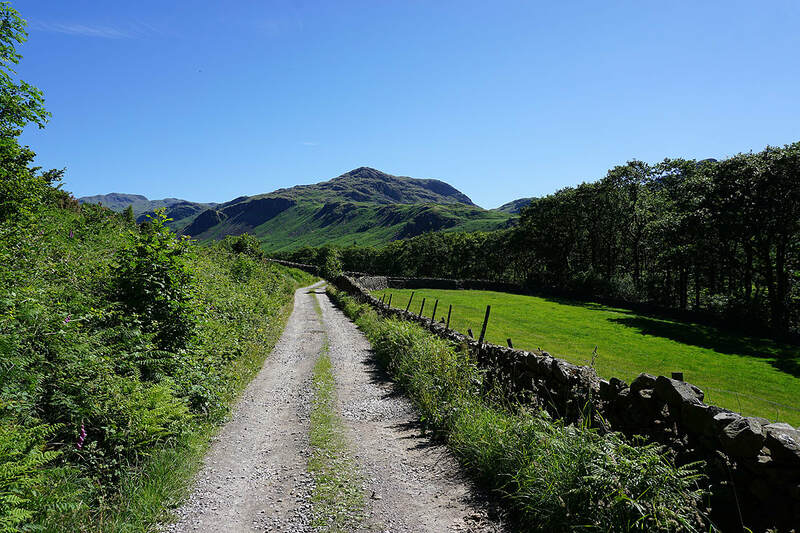 I have a walk along the road towards Brotherilkeld Farm to finish with.